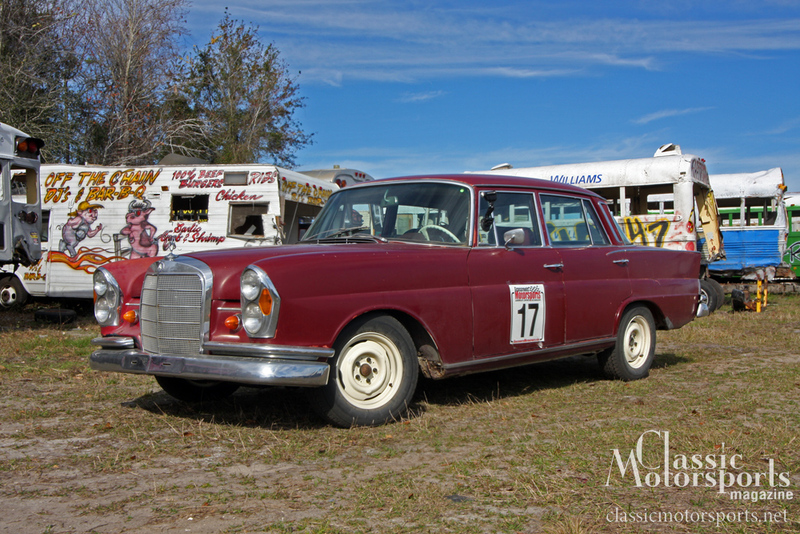 Despite its bad interior and rough looks, we love this Mercedes. Our parts car had nice seats, but they were black. 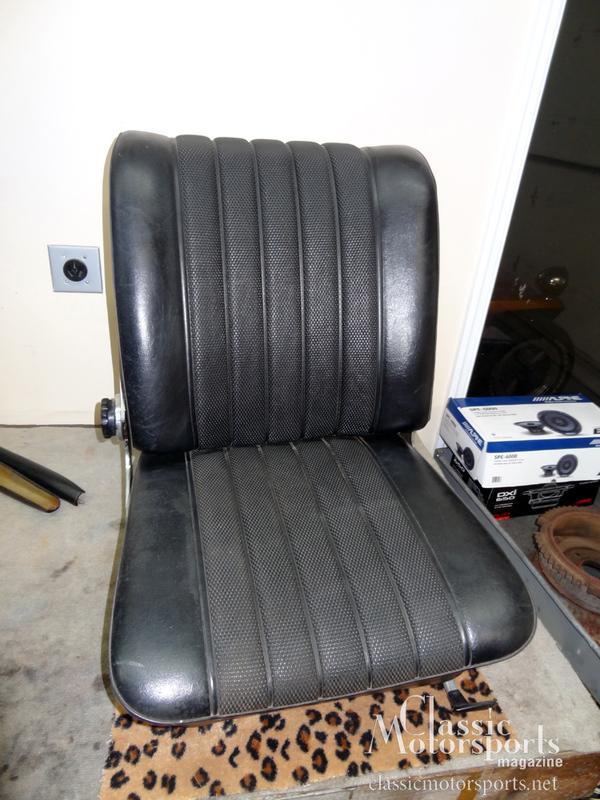 Compare our new, dyed seat to the old, grungy one. We are trying to go at this project logically. Unlike our Shelby, Tiger, Group 44 GT6 and even our recent BMW 2002 tii and upcoming 1967 Mini Cooper S projects, a ‘60s Mercedes is not a particularly valuable car. We are trying to build this one like an average reader would: in his garage. To that end, we are trying to fix one thing at a time. We are fixing the worse things first and then going on to the next. We are also trying to do this project on a budget, while not skimping. One rule we always have is even if we don’t do everything, what we do will be done right. We priced seat upholstery kits. The total for all four seats was over $1600. As mentioned in our last update, the parts car we found was only $1400 and had good seats. 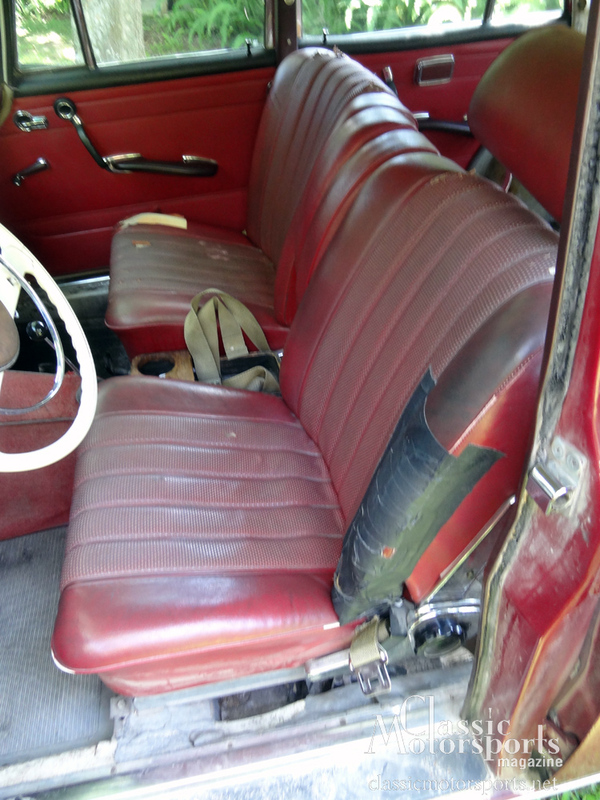 The problem is these seats are black, and our car has a deep red interior. We used a process from Eastwood called SEM to change the seat color. We have used this paint/dye system before and have had very good luck. 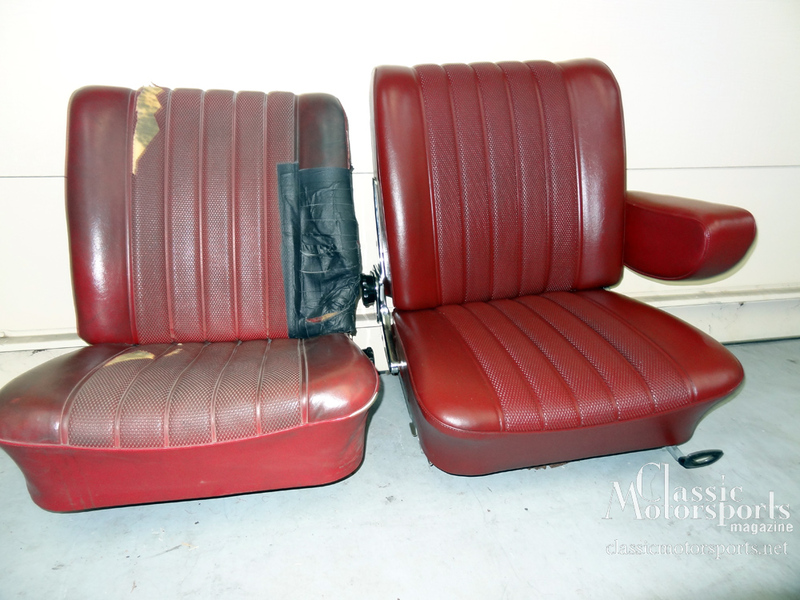 Look for an article detailing the whole process in an upcoming issue of Classic Motorsports, but here’s a taste: For less than $50 and a couple evenings’ worth of time, we got perfect looking seats for our fintail Mercedes. the seats look fantastic in the pic. Are they as good in person? How many applications to cover the black? I'm the previous owner of this car, and I've been following all of the progress updates. I am glad to read that she went to a good home. The car is looking great, and the seats look fantastic. Did the parts car have provisions for the factory headrests, or are you going to forego their installation? Jerry, Yes, we are shocked at how good the seats look, even in person. Rukh, Nice to have you on board. And thanks for making my life even more crazy, with the addition of this car in it. I do believe we can use the head rests, but they are going to need some repair first.